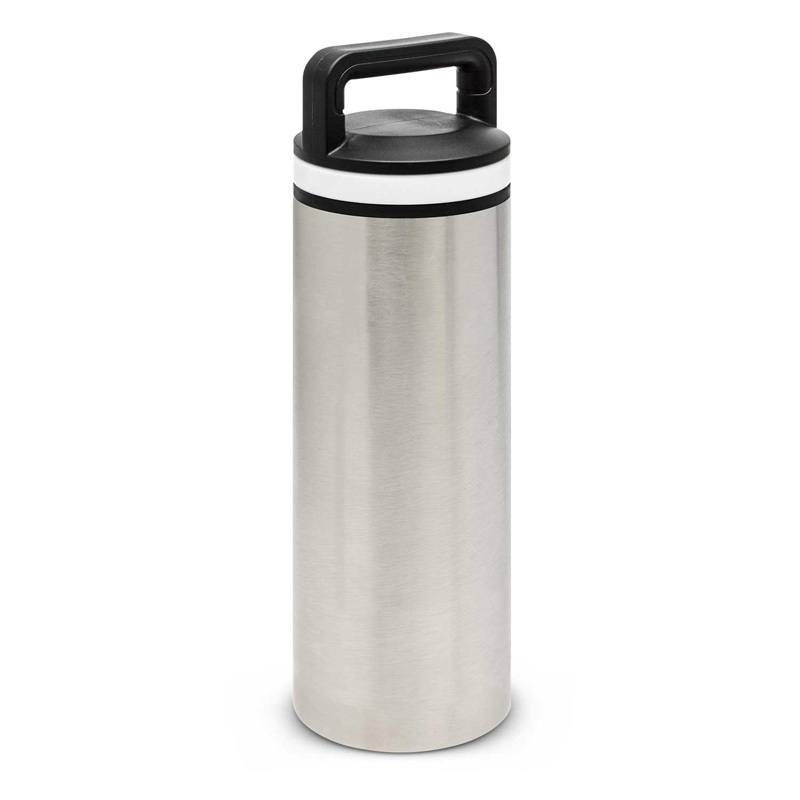 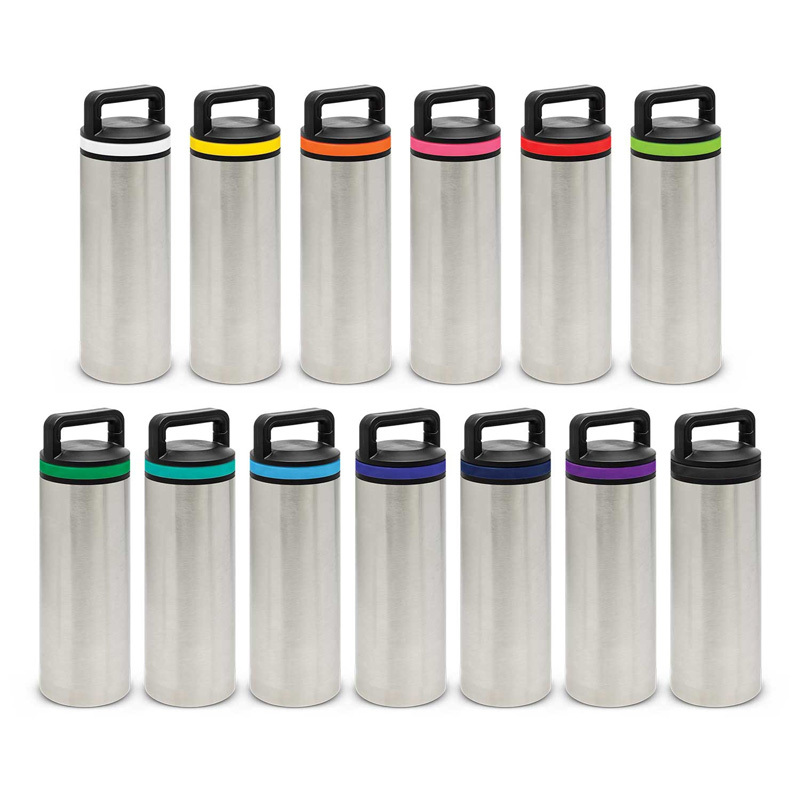 Robust 600ml double wall, vacuum insulated stainless steel drink bottle with a large top opening which is ideal for filling with hot soup, food or adding ice to cold drinks. It has a secure twin sealed screw on lid with a large carry handle and a soft touch silicone band for easy opening and closing. Wrangler offers exceptional performance and will keep drinks cold for 24 hours or hot for up to 12 hours. 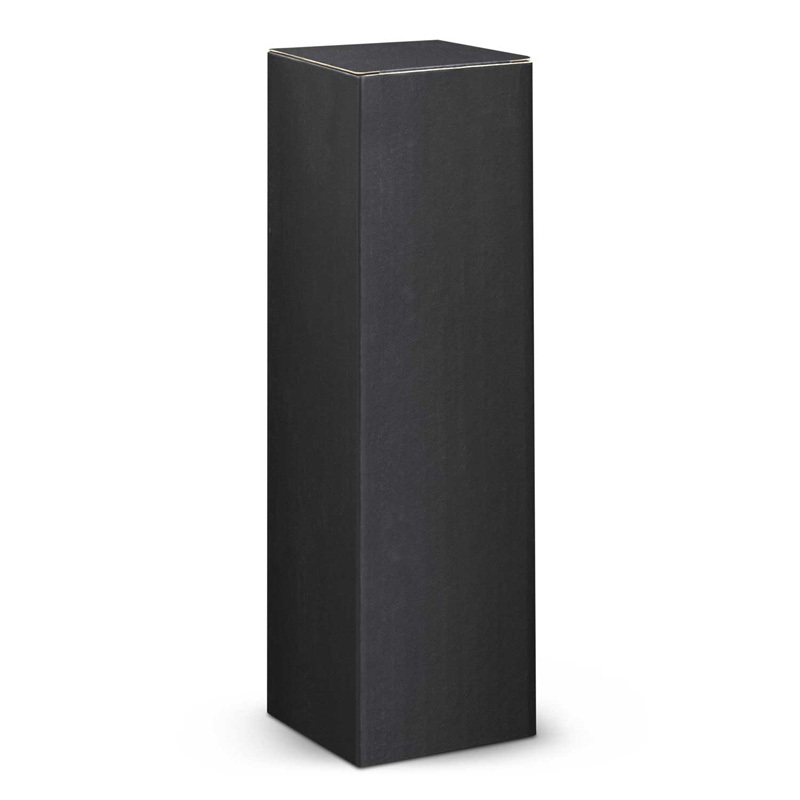 It is presented in a black gift box and laser engraves to a stainless steel finish. Pad Print: Bottle - 35mm x 45mm. Screen Print: Bottle - 160mm x 20mm (one colour). Laser Engraving: Bottle - 22mm x 90mm.